At first glance I thought this was a race featuring the World's Largest Kilt (which would have had limited appeal I admit) but clearly it was a call to action to gather together large numbers of kilted runners. The event, The Perth Kilt Run, takes place on 2 June 2012 in an attempt to break the record for the World's Largest Kilt Race. The Perth Kilt Run will be an 8km/5M run through town using both North and South Inches. Route: Flat. The distance will be 8km/5 miles on a route covering Perth's North and South Inches and alongside the River Tay on Tay Street. Please note that the route may be adjusted for the safety of all runners. Kilts: Every runner is required to wear a kilt. We have a kilt hire facility through our entry system although runners are welcome to wear their own kilt or we can recommend the fantastic selection of Kilt Shops in Perth. Please note that you need to book your kilt very quickly to avoid disappointment. Race Numbers: Race numbers and safety pins will be available for collection at our registration within Perth Concert Hall on the morning of the race. Race Numbers will not be sent in the post.Charity: Fundraising is entirely optional, although we hope as many people as possible will take the chance to support our affiliate charities. It's quite co-incidental as we're looking at getting the final arrangements in place for the Dundonald Kilted Golf Classic 2012. Fancy some world class golf in Scotland? Well how about bidding for it in the St Andrews Pilgrim Foundation Auction? The winners will play Golf in St Andrews and Carnoustie, Scotland in the footsteps of Open Champions between the 2nd and 8th July 2012 giving an exceptional opportunity to experience Golfing Heaven! Best Western Scores Hotel is the nearest hotel to the 1st tee of the Old Course. It has spectacular views over the West Sands and St Andrews Bay. The hotel is adding 6 new Junior suites in 2012. 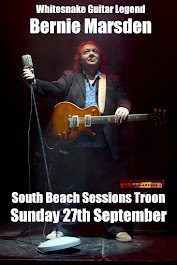 The auction prize will be for 2 sea view twins for 6 nights bed and breakfast. NB: Proof of golf handicap will be necessary. A complete day-by day itinerary will be issued to the successful bidder.You can bid online here with the current bid standing at £7100 (13th of February). Good luck to the lucky bidders! 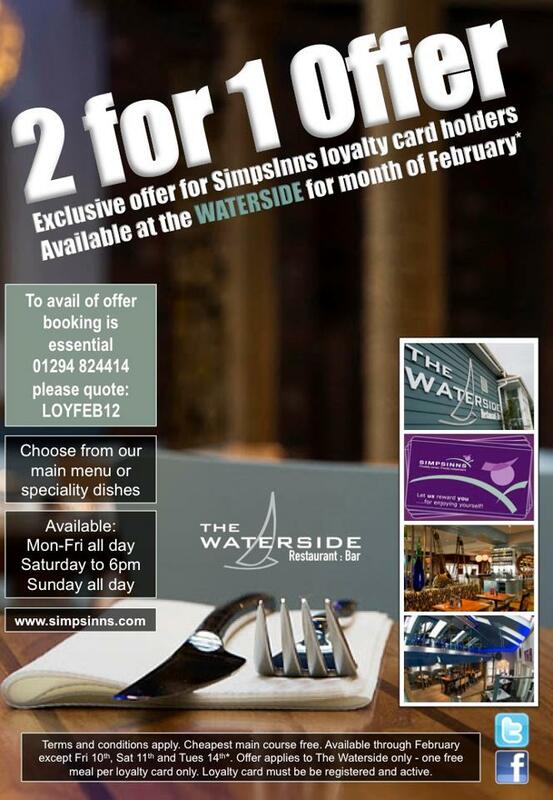 SimpsInns in Ayrshire have asked us to remind their Loyalty Card holders not to forget to book their 2 for 1 offer at The Waterside through the month of February. It's an exclusive promotion for all SimpsInns Loyalty Card holders. 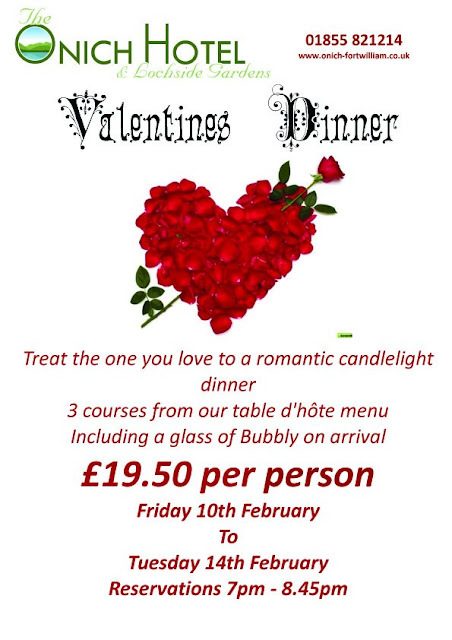 Booking is essential; simply call 01294 824414 and quote LOYFEB12. Usual T&Cs apply. 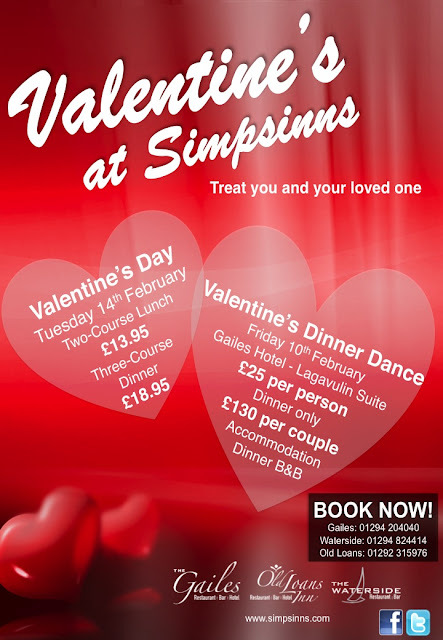 If you haven't already got a loyalty card, sign up now to take advantage of this and many other great offers from SimpsInns. 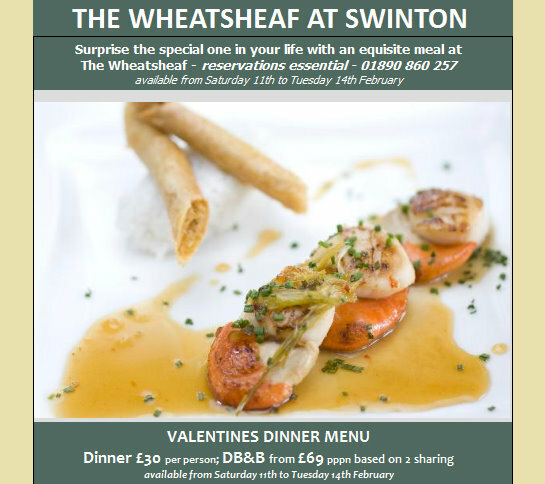 Super Valentine's Day treat at The Wheatsheaf at Swinton. 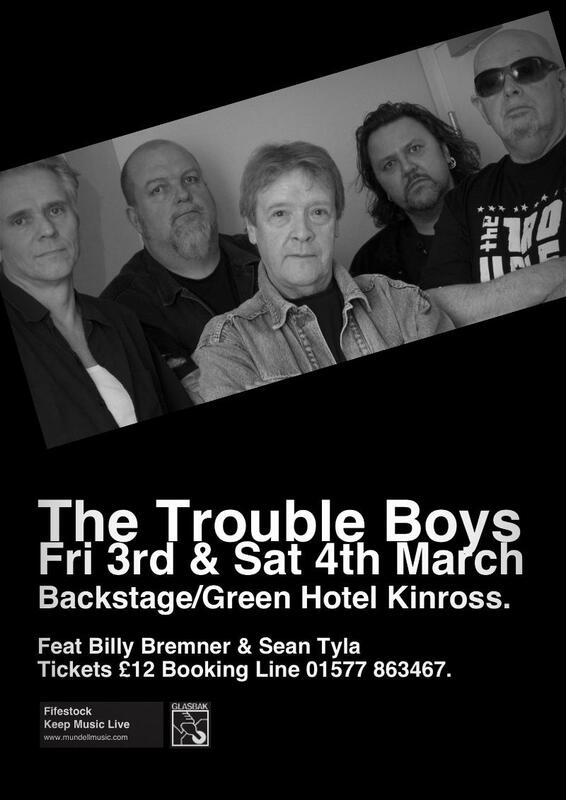 Just announced by Mundell Music for Backstage at The Green Hotel in Kinross is an interesting band The Trouble Boys who will be appearing live on Friday 3rd and Saturday 4th March. 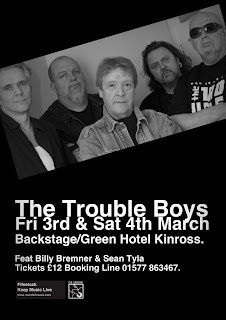 The Trouble Boys are the brainchild of world-renowned songwriter/singer, session player & ex-Rockpile and Pretenders guitarist Billy Bremner, Ducks Deluxe and Tyla Gang frontman & writer, Sean Tyla and saxophonist and founder of Sweden's premier rock & roll band, The Refreshments - Micke Finell. They needed Sweden's No.1 power house rhythm section, Nordic drumming legend, Ingemar Dunker and ex-Roxette bass maestro, Tommy Cassemar to make the outfit swing like a donkey's doo-dah. This isn't a fanciful, 'one-off' diversion but a driven, full-blown, long-term venture to which all members are totally committed. The evidence is clearly defined in their live performances. With a veritable haul of silver and gold studio albums, & tours of the world between them, they are a class act by any standards & a whole lot of trouble when it come to rocking your socks off! Get checked out by your doctor before you go to see them. They are loud and nasty and they rock like a crab boat in a force ten gale. It's been announced today by the BBC that one of Scotland's most famous landmarks the Forth Bridge is to be knighted. It is understood to be the first time a structure has been given such an honour, usually reserved for famous faces and extraordinary youngsters. The government said it was in recognition of the outstanding history of the 121-year-old rail bridge. In an entirely unrelated announcement we understand from a BBC insider that former Royal Bank of Scotland boss Fred Goodwin has today had his Blue Peter badge removed. Mr Goodwin who was awarded the badge, ironically for painting a very pretty picture of another famous Scottish landmark, had it removed when it was discovered that the paint he'd used was not his after all. The removal of a Blue Peter Badge is a highly unusual occurence and means that the holder will no longer have free access to a large number of Blue Peter Attractions.